Carnival Corporation has recently been recognized as one of the top 100 Best Corporate Citizens for 2017 by Corporate Responsibility Magazine and a recipient at the seventh annual Port of Seattle Green Gateway Awards. Both achievements speak volumes, not only to the industry but also to consumers. "As the world's leading cruise company with 10 global brands, we have a deep commitment and have made it a top corporate priority to preserve and respect the environment and communities in which we operate, while returning value to our shareholders," said Roger Frizzell, chief communications officer for Carnival Corporation, in a press release. "Being recognized by the highly regarded Corporate Responsibility Magazine is a great honor for all 120,000 of our employees at Carnival Corporation. Making the CRM list is a major accomplishment alone, but being named one of the top 25 companies in America for corporate responsibility is particularly rewarding and provides plenty of incentive to continue our progress." Carnival Cruise Line, Holland America Line and Princess Cruises—the three corporate brands that frequent the city—were given maritime awards at the Port of Seattle Green Gateway Awards, specifically for their environmental stewardship efforts. From an industry perspective, any time the biggest corporation makes a mark in these areas, it leads all others by example to do the same. Royal Caribbean Cruises Limited and Norwegian Cruise Line Holdings Limited, for example, are following suit in their own ways. That’s not to say mistakes aren't ever made along the way. 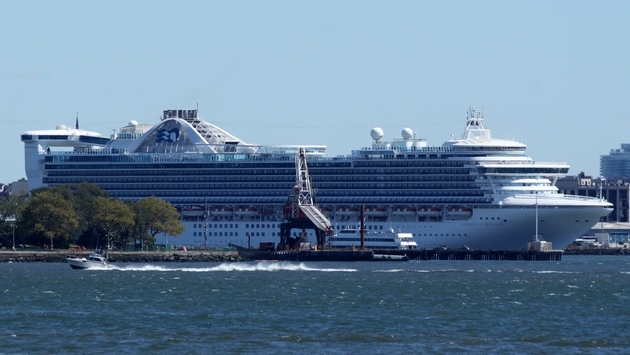 The biggest elephant in the room is, of course, the fact that one of the very recipients, Princess Cruises, was also recently fined for illegally discharging polluted water overboard and covering it up with falsified records. As egregious as such acts were, the cruise line has made a concerted effort to correct them, and such awards definitely help in regaining consumer confidence. After all, any subset of actions within one cruise line does not necessarily represent the entire brand nor the entire corporation. Clearly, Carnival collectively believes in green policies. One of Corporate Responsibility Magazine’s criteria for the inclusion was transparency; Carnival Corporation indeed came clean about Princess Cruises and fully cooperated to rectify the situation. Provided sufficient oversight and implementation of official procedures remain in place, the polluted past will stay there as a watershed moment from which the entire industry can learn. Now the company can look to a brighter future as the only cruise-specific one to make the Corporate Responsibility Magazine list. Among currently commendable environmental initiatives are a fleet-wide recycling program, Coastal Cleanup Day, World Oceans Day, carbon emission-reducing shore power utilization, biodegradable cleaner use and Exhaust Gas Cleaning System and LED lighting installation. Next, Carnival has a total of seven new cruise ships set to come online that will be powered by liquefied natural gas (LNG), the world's cleanest burning fossil fuel.